The Lesath DX is the totally renewed and updated flagship spinning rod, developed for all-round predator fishing. It has an incredible thin, powerful and light weight blank and the best components available. The Spiral X + Hi-Power X technologies reduce ovalisation and blank twist to a bare minimum, while making the blank very responsive, light and strong. The action of the Lesath is a beautiful moderate-fast action, which makes this rod a true allrounder for predator fishing. Because of the action and the Spiral X / Hi-Power X technologies, the rod is capable of casting very big distances with all kinds of lures. Fighting a fish is a pleasure due to the slightly progressive action, combined with enough backbone which will give the angler control when fighting a big fish. The Ci4+ reel seat is over 10% lighter then a conventional reel seat, but stronger as well. Overall; the Lesath DX is the ultimate all-round rod of our predator range. In Hi-Power X construction, the blank’s outermost layer is diagonally wrapped with carbon tape, which forms an array of “X” shapes. The width of the tape, its winding angle and the part of the rod being wrapped are fine-tuned according to the target fish species. The flexibility allows Shimano to adjust these wraps during construction for precise actions, enhanced overall strength and added twist resistance. 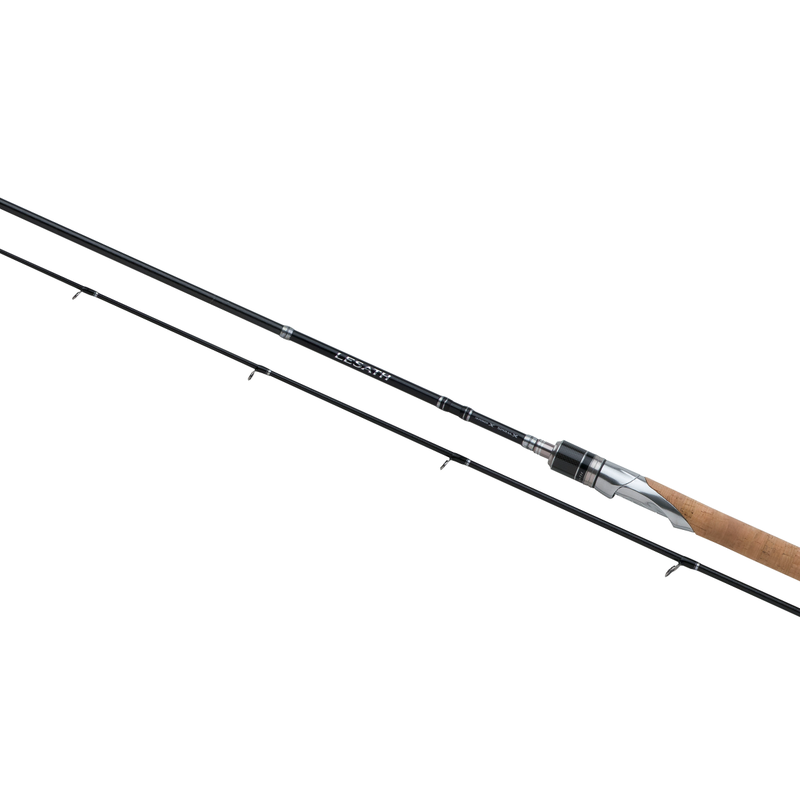 In short, Hi-Power X construction delivers sharp and crisp rod control by the angler. Hardwelded titanium frame guides which are the lightest guides in market. The ideal guide to build lightweight rods. In addition to using high-end Fuji reel seats, Shimano has designed a number of models in-house. These Shimano engineered models make it possible to use specialised reel seats for different types of rods. The usage of the highly technical material CI4+ creates an ultra light reel seat.